The Charmin Forever Roll might appear as an April Fool’s joke from the brand, but is actually a very real product option for consumers that will provide them with ample amounts of the essential bathroom product. The oversized roll of toilet paper is 12-inches in diameter and is reported to offer enough product for up to a month to eliminate the need to constantly swap out smaller varieties. 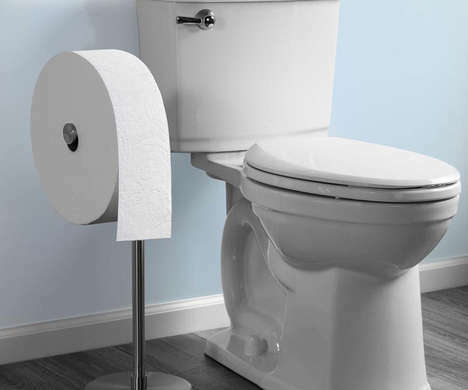 The large roll of toilet paper is sold along with an accompanying wall mount or stand to ensure that it can be integrated into existing washroom setups with minimal changes. The Charmin Forever Roll is likely to be favored by consumers seeking to optimize their lifestyle by limiting purchases in favor of larger, sporadic ones.